“Oral History: Irv Denton,” braddockheritage.org/, accessed April 24, 2019, http://braddockheritage.org/items/show/100. 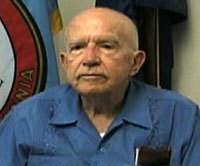 Irv Denton moved to Annandale in 1967. He discusses Annandale's history, development and notable people from 1685 to the present day.